Manoj Kumar is a Principal Test Automation Consultant and a Steering committee member of the Selenium Project. 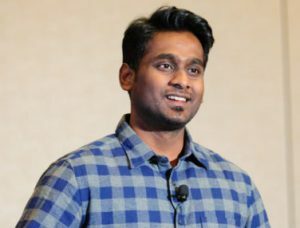 He has architected many automated testing solutions using tools in the Selenium ecosystem for both web and mobile apps. He is an open-source enthusiast and has contributed to different libraries such as Selenium, ngWebDriver, Serenity and Protractor. He is also the author of a Selenium blog AssertSelenium.